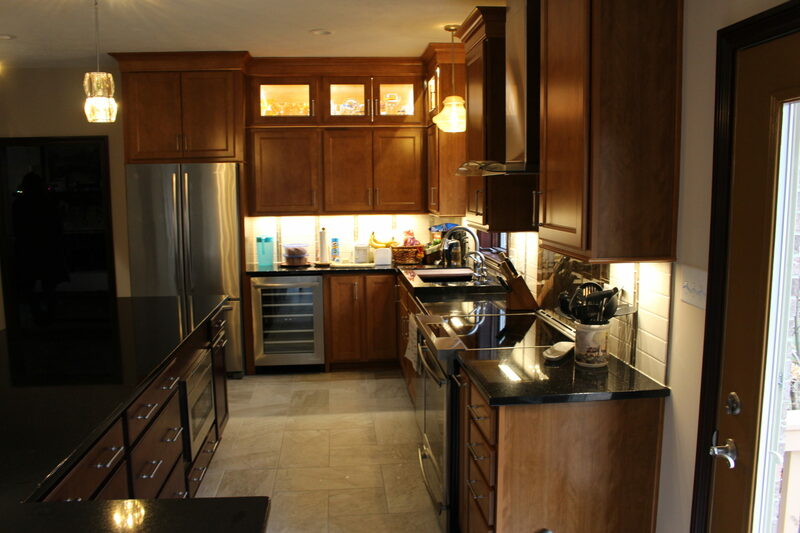 In this particular project we removed the walls between the dining room and the kitchen, opening up the kitchen to a lot more space. 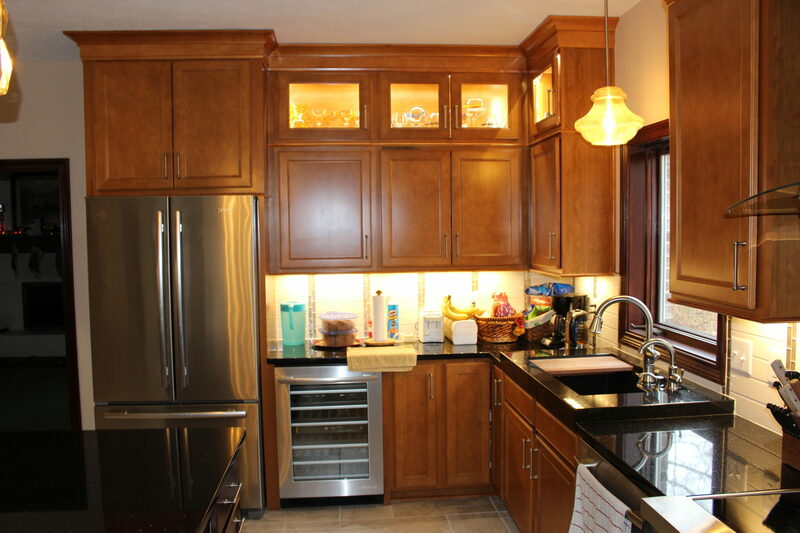 We removed the bulkheads so that the cabinets were able to flow all the way up to the ceiling giving it a more modern look. 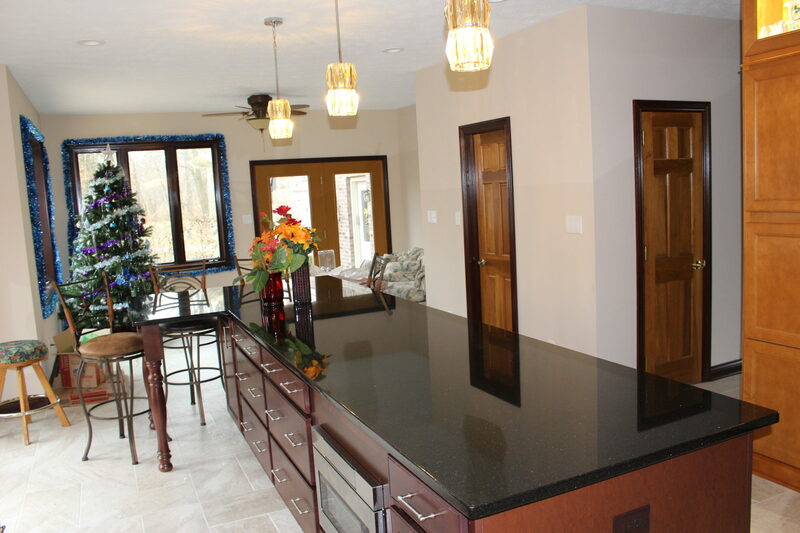 This project is located in Plainfield, Indiana. 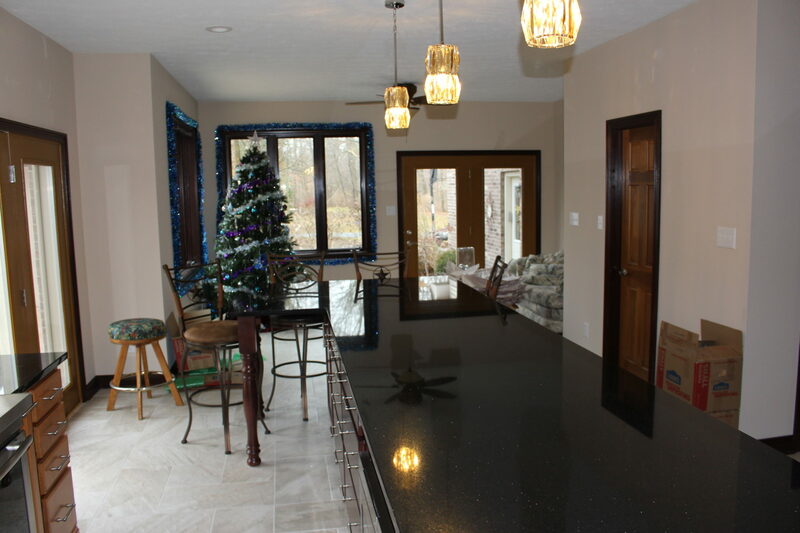 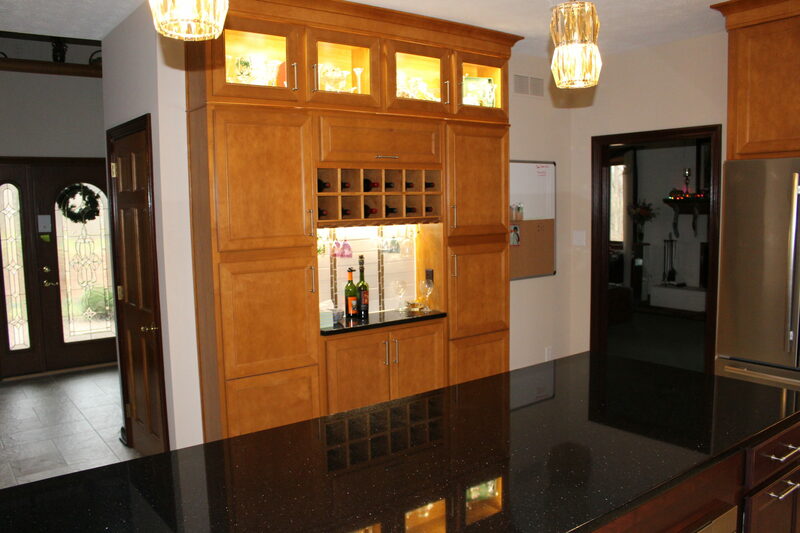 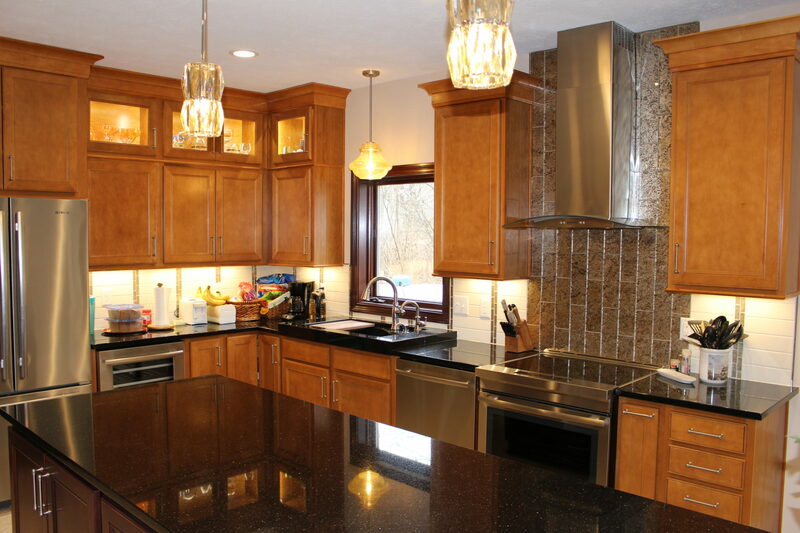 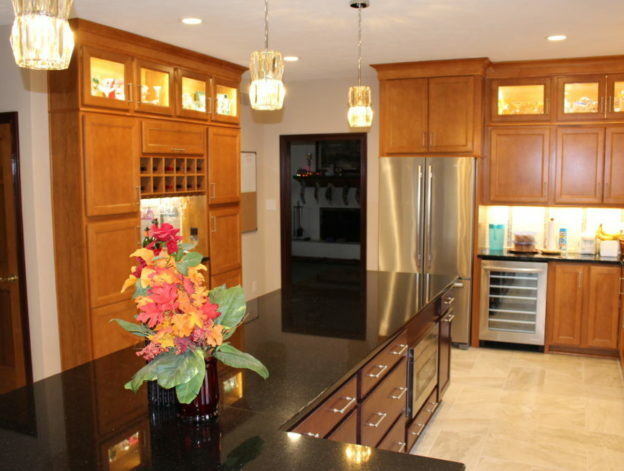 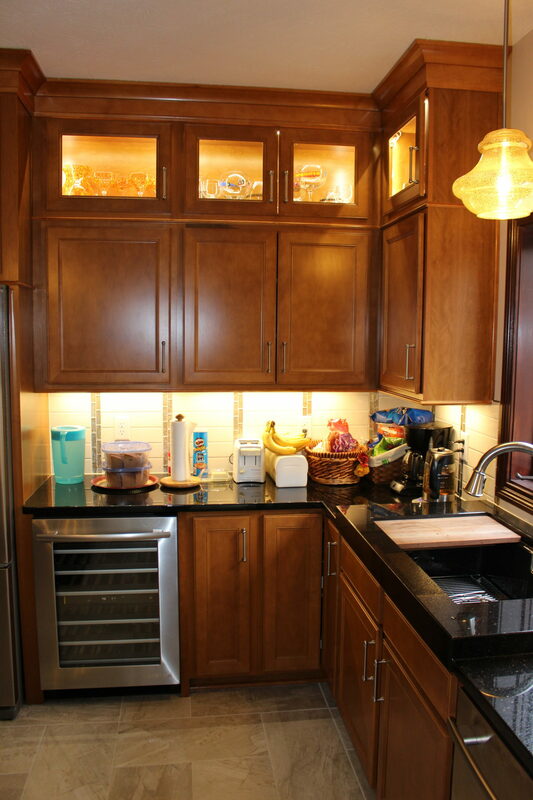 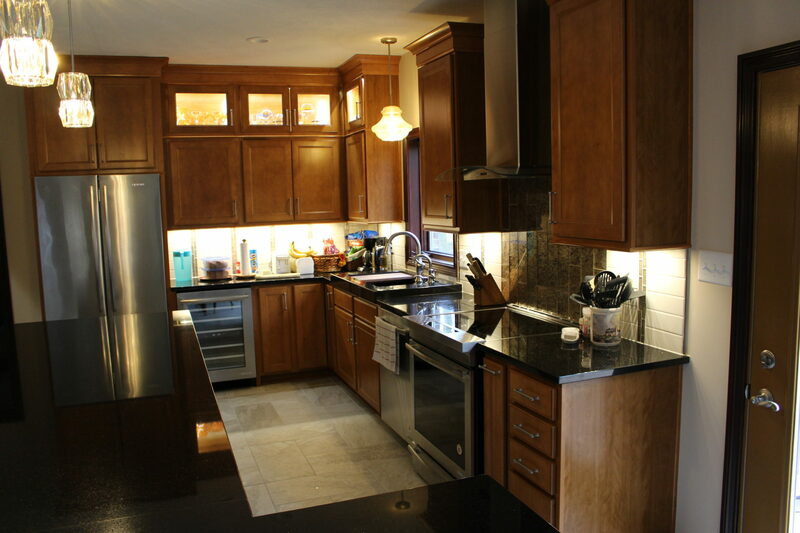 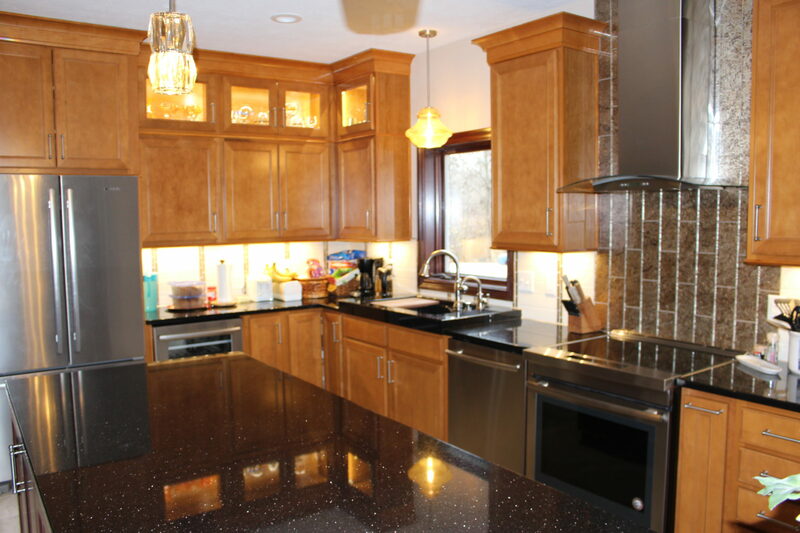 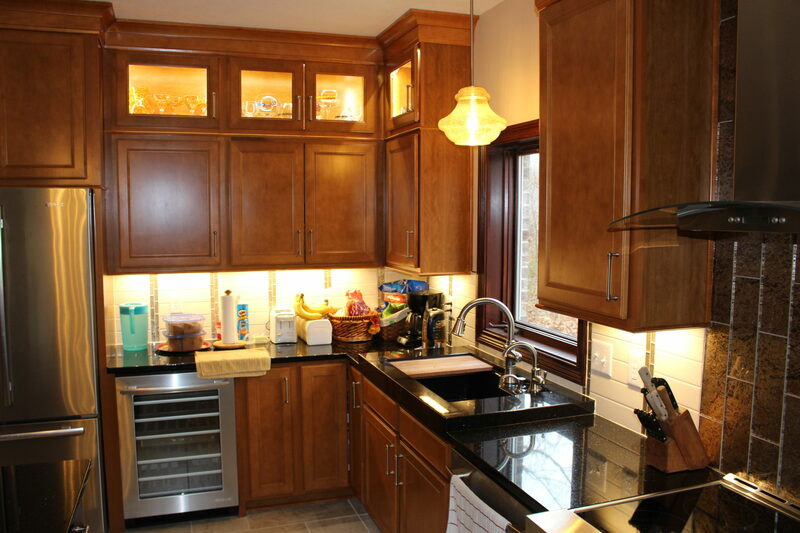 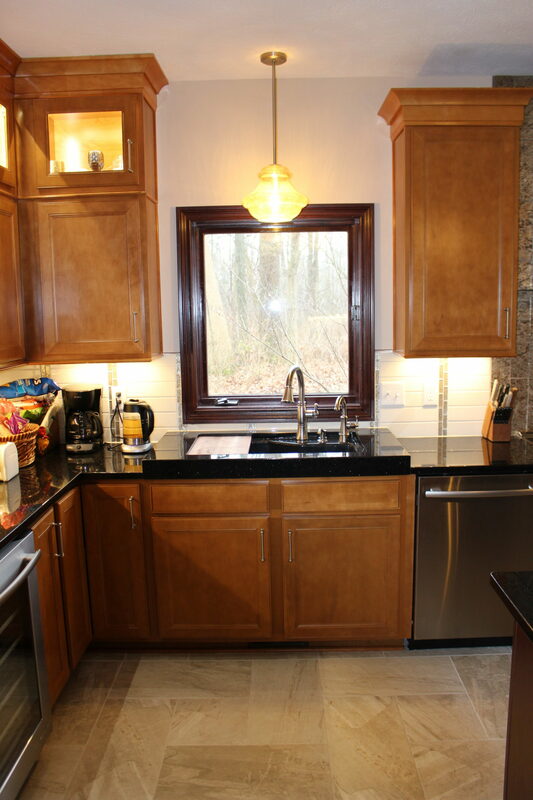 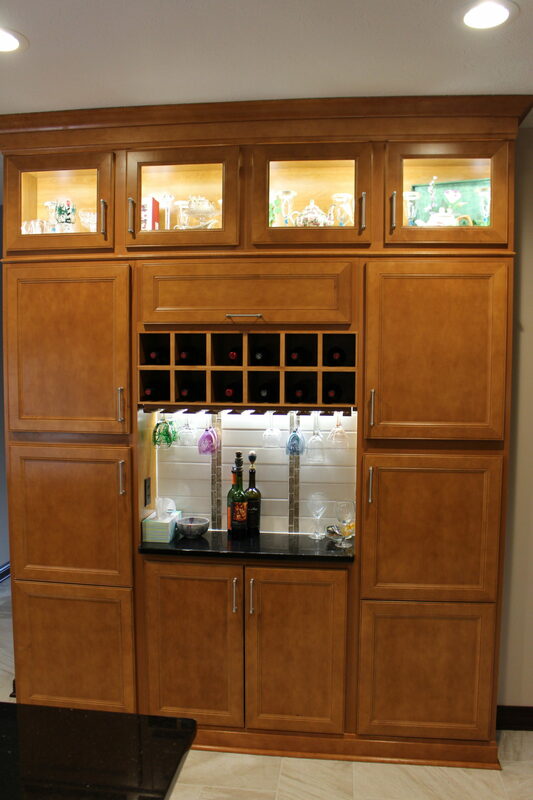 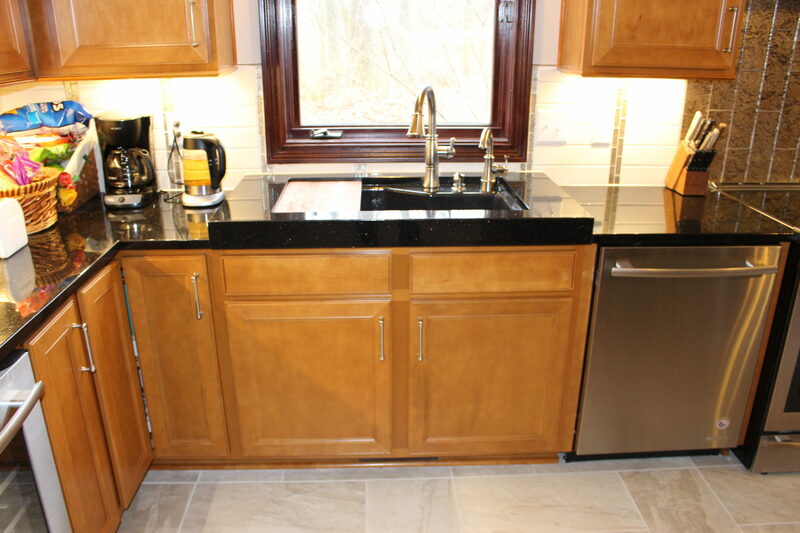 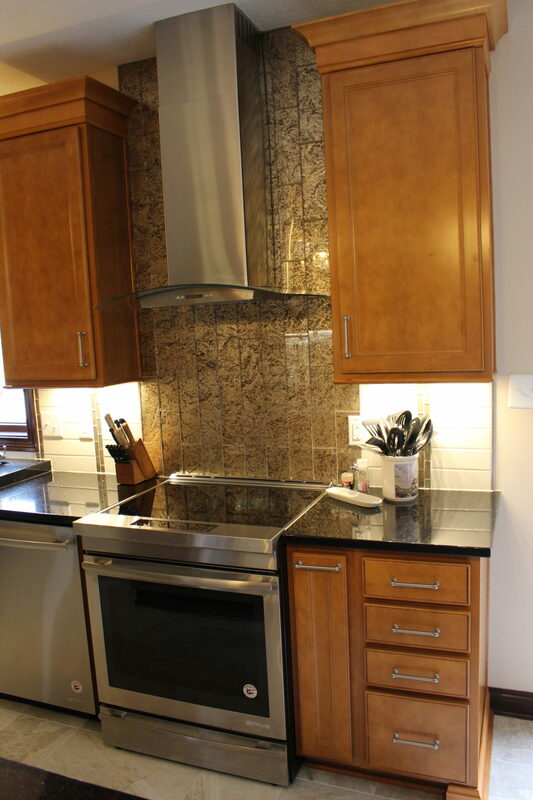 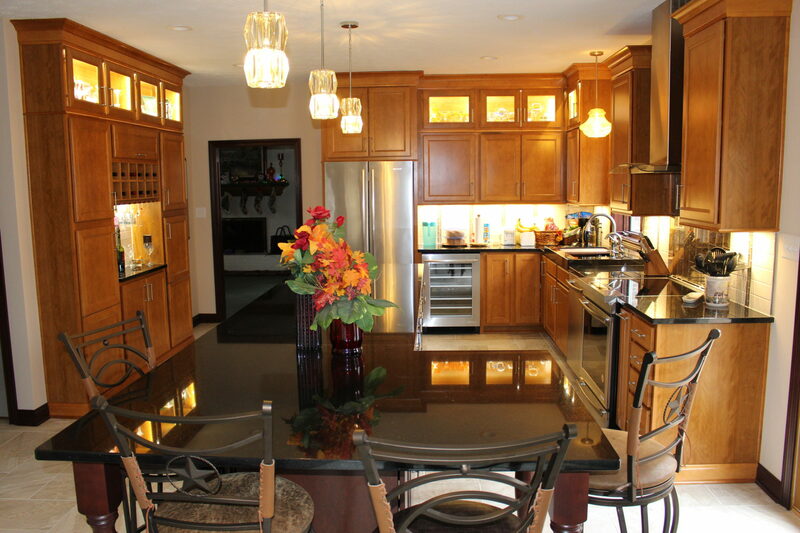 The clients were wood workers who wanted to use stained cabinets and wood work. 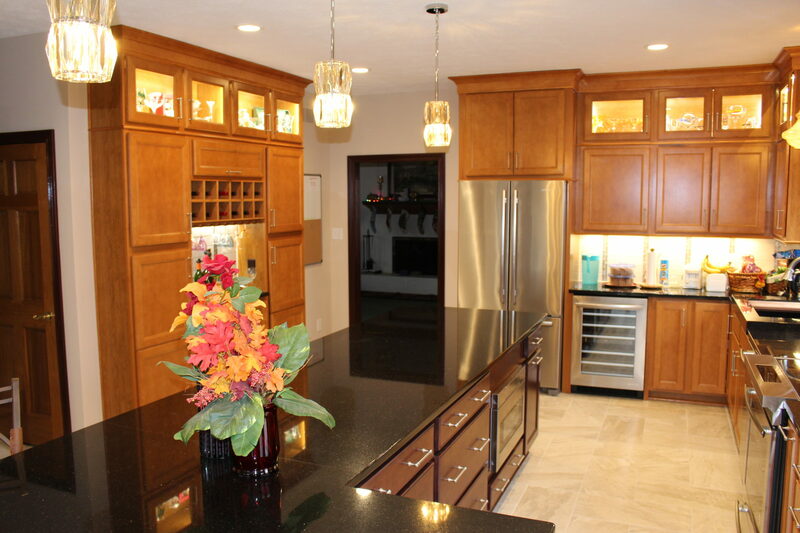 We took additional care to match all the cabinets and existing woodwork and trimming with the new wood work we installed. 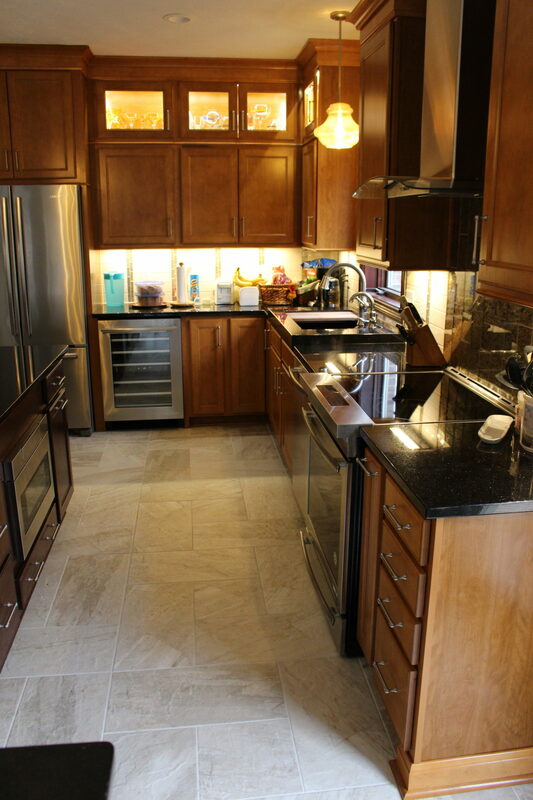 To see more about this project please visit our Before And After page.